The Importance of food safety and risk mitigation has propelled consistent growth in registrations of non-food compounds. Based in Ann Arbor, Michigan, U.S.A., NSF International is a not-for-profit public health organisation that has assumed responsibility for the evaluation of food grade lubricants and other food processing substances since 1999. There are three main product categories, of which H1 is the most well-known. H1 is for applications where there may be incidental food contact and endorses the minimum lubricant required to be effective for its purpose. The purification level of Gazpromneft- Lubricants White Oil T adheres to the technical requirements recognized by FDA 178 3620 b code of the U.S. Food and Drug Administration (U.S. FDA), which originally administered the program. Gazpromneft-Lubricants is the operator of Gazprom Neft’s oil business. 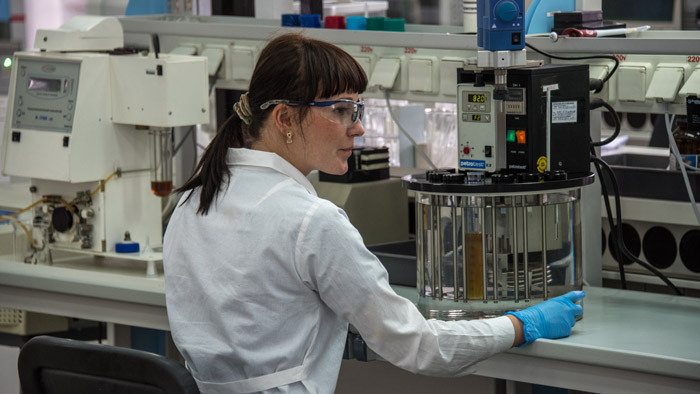 The ambitious Russian lubricant company has been in existence less than a decade, but already owns six large production assets in Russia and Europe and offers a range of passenger vehicle, commercial vehicle and industrial lubricants. Total production of lubricants and service fluids stands at 600,000 tonnes per year. Gazprom Neft’s share of the Russian lubricants market is 21.3%.